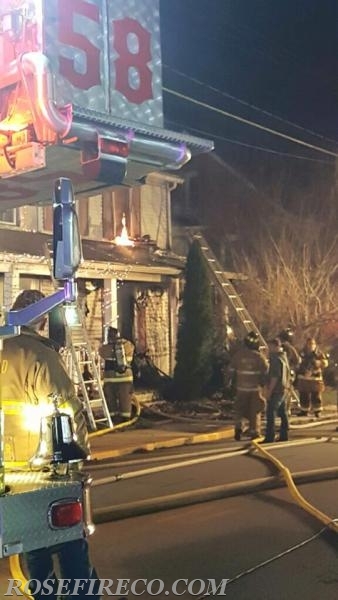 On 12/04/16 at 2040, New Freedom Borough Box 58-04 was struck for a house fire with people trapped. Engine 58-1 quickly responded with four personnel. On arrival Engine 58-1 reported a 3 story duplex with fire showing from side A and D. At that time SRPD was assisting one patient across the yard in need of EMS. The officer from Engine 58-1 was advised that there was someone still inside on the second floor. By this time the crew from 58-1 was entering the home with an attack line to extinguish the fire. 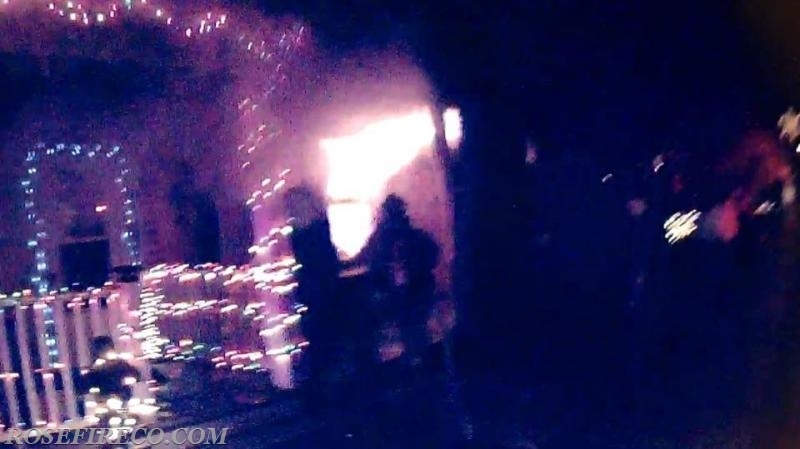 The crew entered the home and was quickly met by fire in the hallway. They pushed in and made an aggressive interior attack on the fire. After knocking it down, the crew from 58-1 split up and one member made their way to the second floor to search for life and fire extension. The other member of the crew searched the first floor and basement. 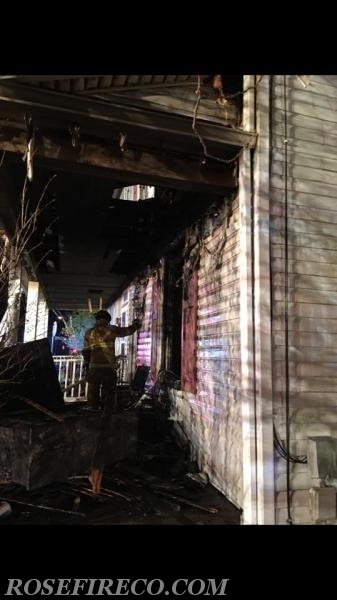 The FF on the second floor reported high heat and zero visibility but did not find a victim. 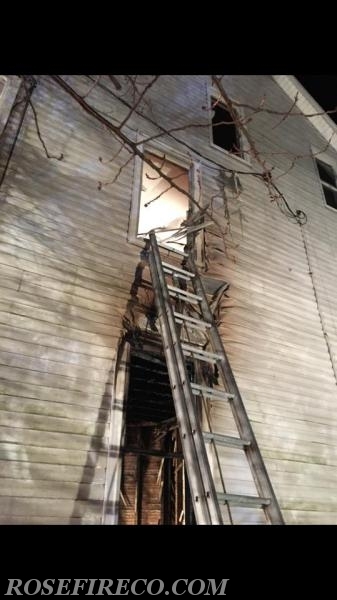 Crews from Engine 61 vented the windows of the second floor and made entry. Those crews continued to search while a second attack line was stretched. After several searches crews reported that the home was “All Clear” of any victims and operations were focused on overhaul and extinguishment. A total of 18 dedicated volunteers from Rose Fire Company #1 responded on this call. All crews operated for several hours searching for hidden fire and extinguishing hot spots. We thank all our mutual aid companies for their assistance on this incident. Crews from New Freedom, Shrewsbury, Glen Rock, Maryland Line, Stewartstown, and Dallastown's Air Unit were on the call. Read more about the Heroic efforts of Southern Regional Police Officer Miller with the link provided.